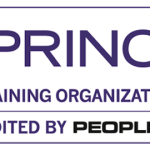 PRINCE2® Project Management Training is now available. PRINCE2® (Projects in a Controlled Environment) is a process-based method for effectively managing projects, since 1996 PRINCE2® is the method used for planning and managing both small and large projects in the public and private sectors. We have courses starting in Essex in July. This structured management method can be applied regardless of the type, scale, geography or type of project, enabling, planning, delegation, monitoring and control of variables involved in project management including costs, scope, timescales, quality, benefits and risks.